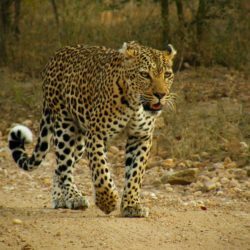 For years we have been reporting on our resident female leopard we called Twin Spots (because of her symmetrical facial markings). Now she has been found dead, probably as a result of a fight with another leopard. 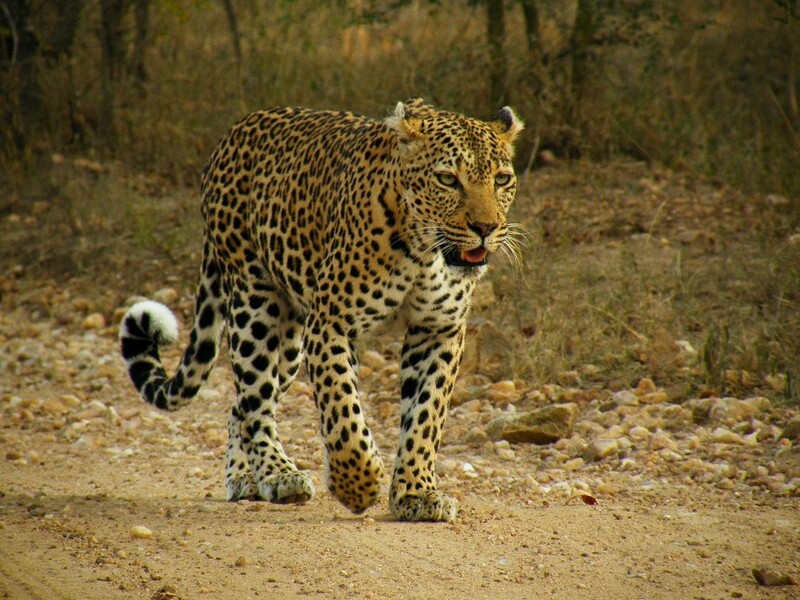 According to the reserve records, she has passed her 14th year and life expectancy for leopard is listed as 11-15 years… More importantly, at the last sightings of Twin Spots, she appeared weak and out of condition. And younger female leopards had moved into her territory a while back – a sure sign that she was past defending it. Perhaps tellingly, last year for the first time in anyone’s memory Twin Spots failed to raise any of her cubs to maturity. Prior to that she had always managed to raise at least one of her litter to maturity – quite an achievement actually, and that is what makes her failure all the more noticeable. With KwaMbili right inside her territory, Twin Spots passed through camp regularly and certainly taught all her cubs to do the same. She was generally relaxed with people and with vehicles, allowing for good sightings of her. She was however, like any good mother, ferocious in defence of her cubs if anyone got too close, something several of us at KwaMbili experienced and were lucky enough to survive! Twin Spots’ legacy in the form of her offspring is remarkable – with progeny identified as spreading as far afield as Hoedspruit some 40km away. We are lucky enough to have one of her big strong sons just north of KwaMbili where he has carved out a territory and has a mate with three healthy cubs.